With all the extra fabric, choosing and styling large scarves can get a little confusing! 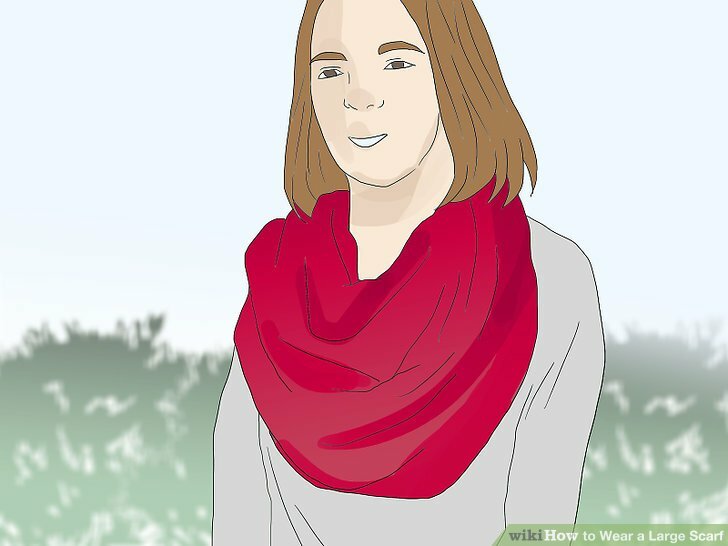 Once you have a few basic techniques down, though, large scarves can be the perfect addition to almost any outfit. Choose your desired style, weight, and color or pattern, then start styling your scarf with a variety of outfits. Choose an oversized infinity scarf for a thick, layered look. Infinity scarves are a quick, easy option that involve barely any arranging! 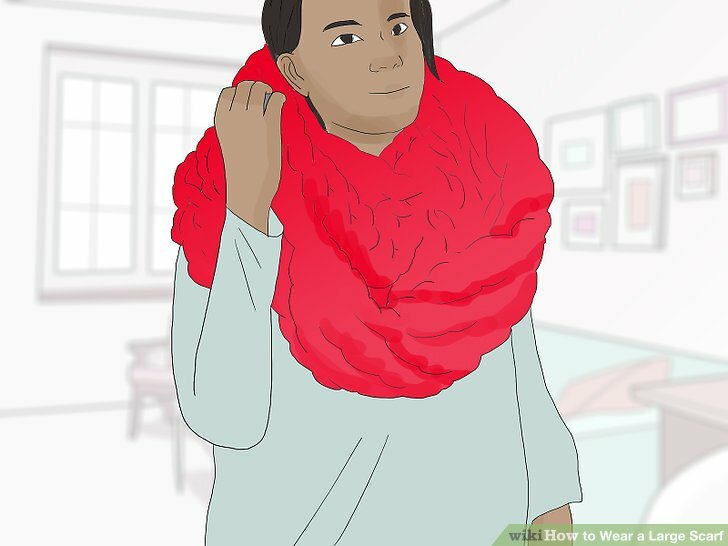 Just loop the oversized scarf around your neck, pull it into place, and you’re all set. This way, you don’t have to worry about tucking or dealing with long, loose scarf ends. Opt for a large blanket scarf for a variety of chic, wrapped styles. The blank scarf style gives you lots of freedom, with countless ways to style and wrap it. For the perfect oversized look, choose a scarf that matches the length of your wingspan (or the length of both your arms, lifted straight out from your shoulders). Wear a heavy, chunky-knit scarf in colder weather to stay warm. Large scarves can be both stylish and functional! In the winter, choose oversized scarves made of thicker, heavier materials, such as cashmere or wool, to keep your neck and shoulders warm. Chunky-knit sweater material is also perfect for a winter scarf. Go for a lightweight cotton scarf during the warmer months. Since the oversized scarf will already mean an abundance of fabric, opt for a thin knit material when the weather starts to warm up. For example, in the spring, you could start transitioning your thick, bulky scarves to lighter, thinner oversized options. Stick with neutral colors for more versatility. If you’re all about mixing, matching, and making each piece in your closet stretch as far it can, choose scarves in simple, clean neutrals. For example, look for materials in white, cream, tan, gray, or black. Neutrals can also include muted colors that go with lots of different outfits, such as forest green, cinnamon, or burgundy. Choose a scarf in a statement color to add a fun pop of color. Scarves are a great way to brighten up an otherwise-ordinary look. 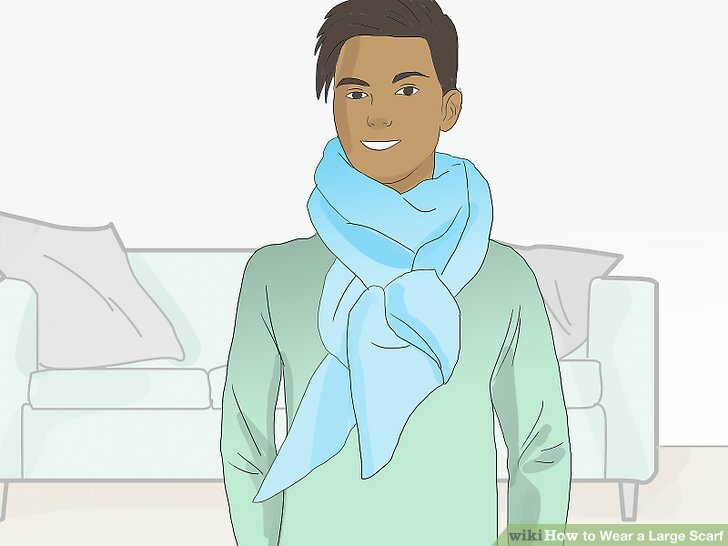 Go for a scarf in a statement color like mustard yellow, deep blue, or bright red, or a softer, sweeter color such as pastel pink, mint, or light blue. Pick out a pattern to add interest and depth to an outfit. Scarves are also an easy way to incorporate patterns into your outfit. Popular patterns like tartan, animal print, stripes, or abstract are perfect for layering over other textures like sweater material, denim, and leather. D**** the scarf around your neck for an easy, stylish look. It doesn’t get any easier than this! Simply d**** the scarf around your neck, leaving the ends hanging loose down your front. Make sure to adjust the ends until they are equal lengths, then you’re ready to go. This quick style is perfect for days when you need extra warmth but don’t want the bulk of a scarf around your throat. This works best with blanket scarves, folded lengthwise or rolled triangle-style. Put together a stylish, relaxed outfit by draping a long gray plaid blanket scarf over a black longline coat, a white top, distressed light wash boyfriend jeans, and some nice white sneakers. Wrap your scarf several times for an effortlessly chic touch. Wind your infinity or blanket scarf around your neck one to two times, keeping the fabric loose and d****d. On extra cold days, you can even wrap a blanket scarf up to three to four times around your neck, which keeps the fabric close to your skin and helps cover your mouth. With blanket scarves, you can tie the ends in the front or leave them loose. This works best with oversized infinity scarves and long, rectangular blanket scarves. For a chilly night out, you could wrap a black and white patterned infinity scarf over a fitted black dress and gray suede boots. 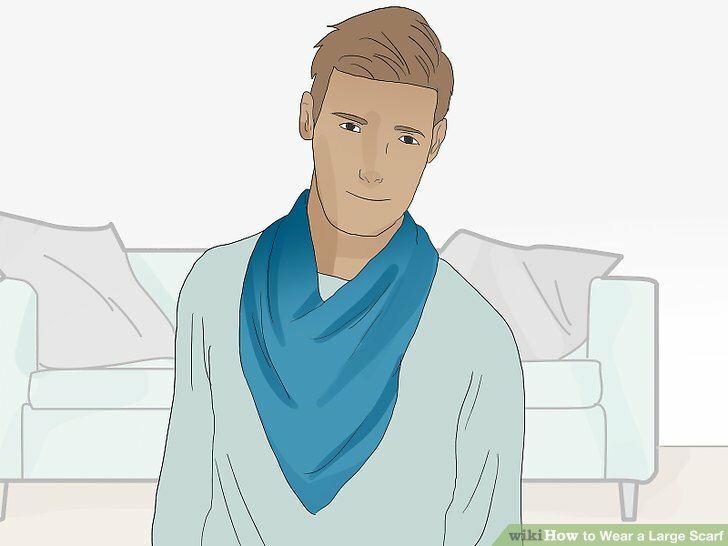 Wrap your scarf handkerchief-style for a casual look. 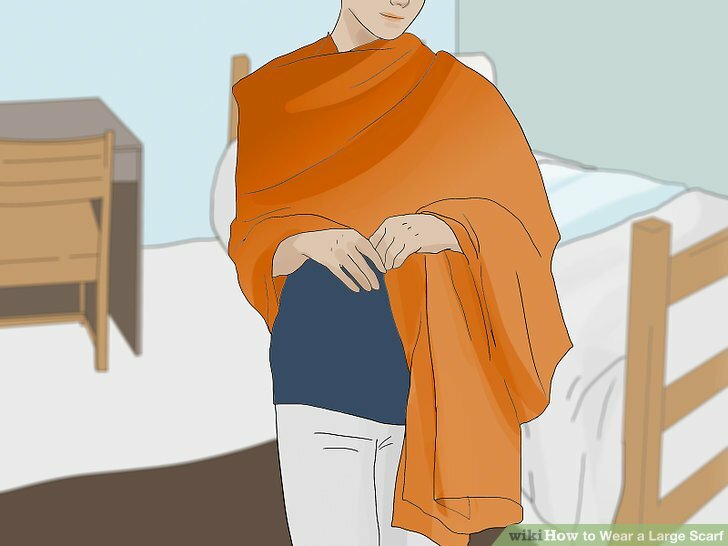 Fold your oversized scarf into a triangle in front of you, then cross the ends behind your head and pull them forward. 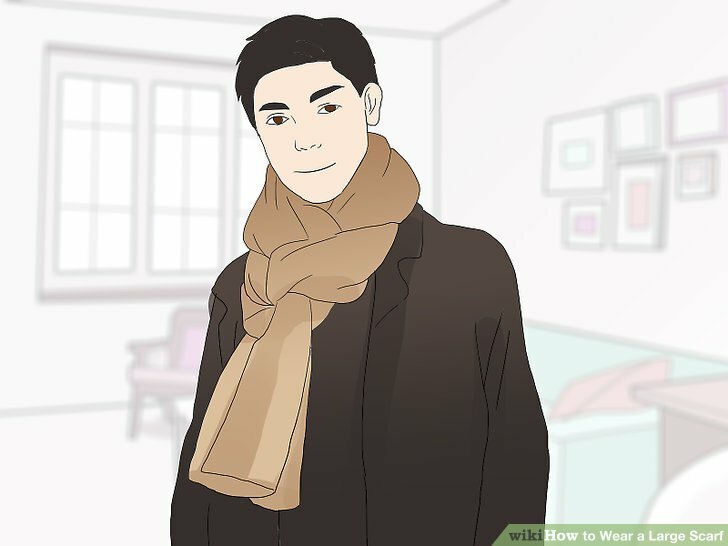 Adjust the scarf so that the tip of the triangle and the ends are the same length, then tie the ends in a single loose knot, resting on top of the scarf. If you prefer a simpler look, you can also tie the ends in the back, behind your head. This look works best with a large, square-shaped scarf. Rock this look by putting together a handkerchief-style tartan scarf, a black leather jacket, a gray t-shirt, loose-fitting jeans, and black ankle boots. Wear your blanket scarf shawl-style for extra comfort and warmth. This style is another super-easy option that adds a stylish, polished touch to an outfit. 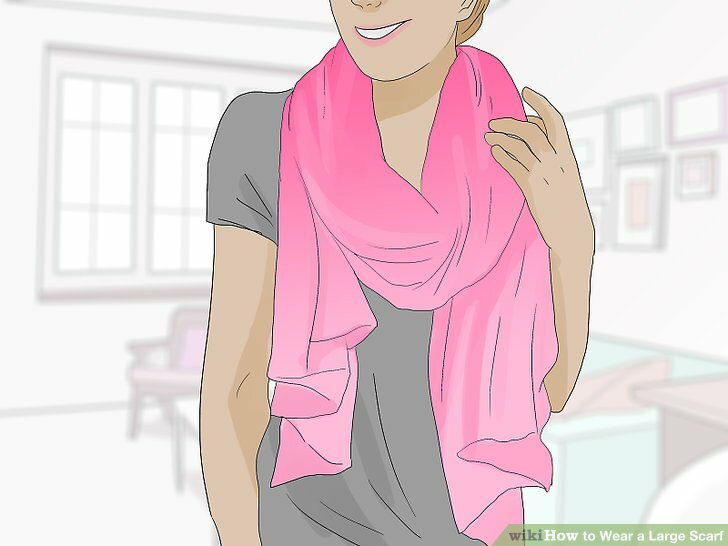 Take a long, rectangle-shaped scarf or a large square scarf, folded triangle-style, and wrap it around your shoulders like a shawl. Let the ends hang loose down the front. You could wear a long black-and-gray patterned scarf, shawl-style, over some sleek white trousers, a white turtleneck, and dark gray heeled boots for a chic, professional outfit. You can also add a belt to cinch in the scarf at your waist for a more silhouette-flattering effect. Toss one end over your shoulder for a classic winter look. 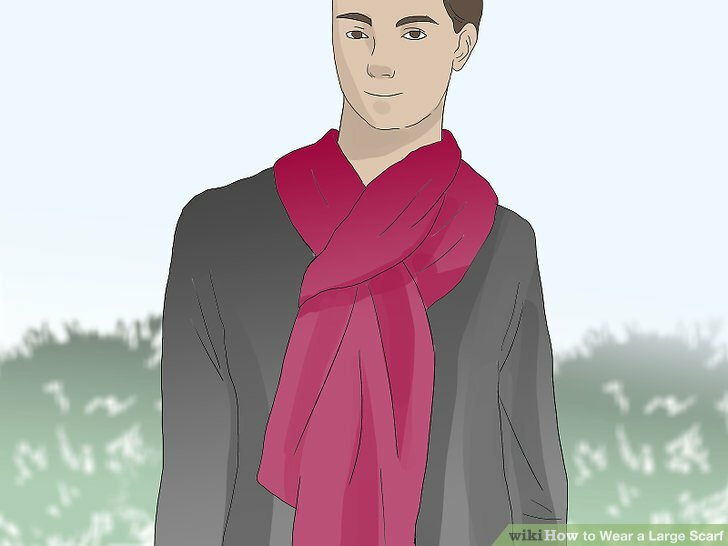 D**** the length of the scarf around your neck, letting both ends hang in the front. Take one of the ends and d**** it over your shoulder so it hangs down your back, giving you a windswept, on-the-go look. This style will also keep the scarf close to your neck and provide some extra warmth for cold weather. 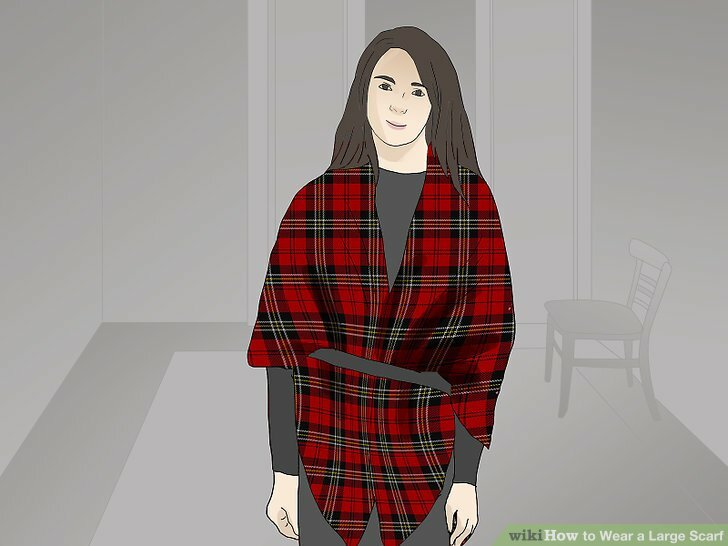 Use this technique with a gray and cream plaid blanket scarf. Complete the look with a dark gray longline coat, an oversized light gray sweater, black leather leggings, and some black pointy-toed heels. Tuck the ends into the neck of the scarf for a simple, neat look. 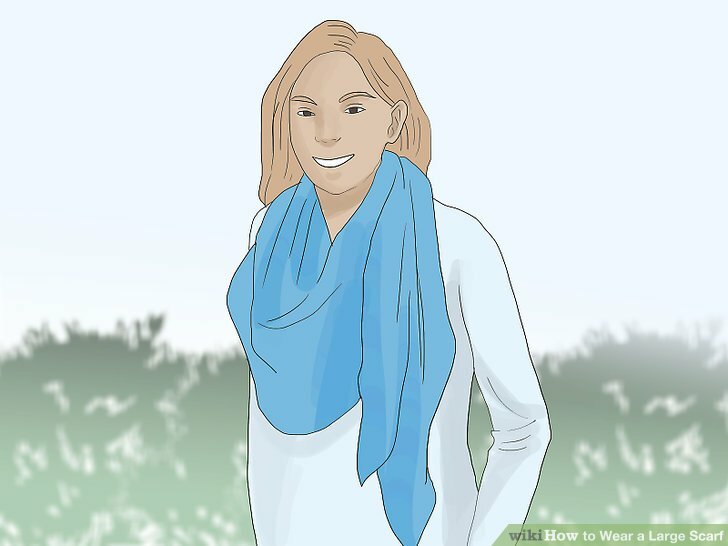 Wrap a long blanket scarf around your neck once, bring the ends to the front. Loosen the loop around your neck and tuck both ends through it. Straighten up the ends for a clean, layered finished product. 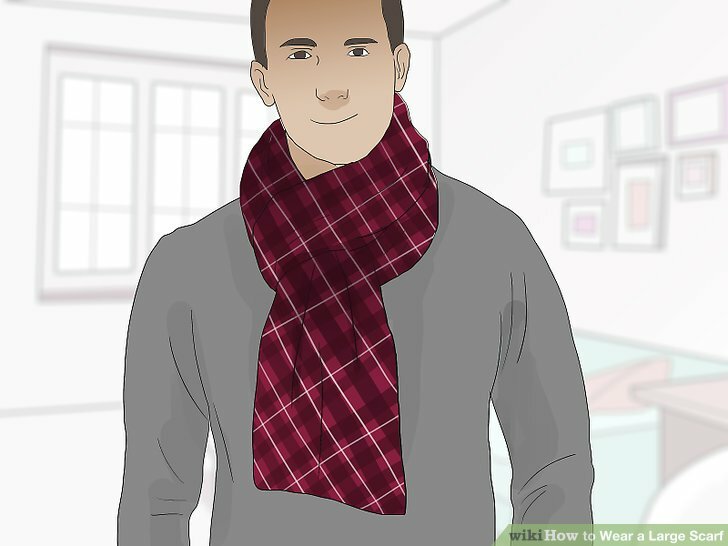 Use this technique on a red patterned scarf and add a white long-sleeved shirt, a tan bomber jacket, black slim-fit pants, and black ankle boots. Add a loose knot to the cape style for a statement look. 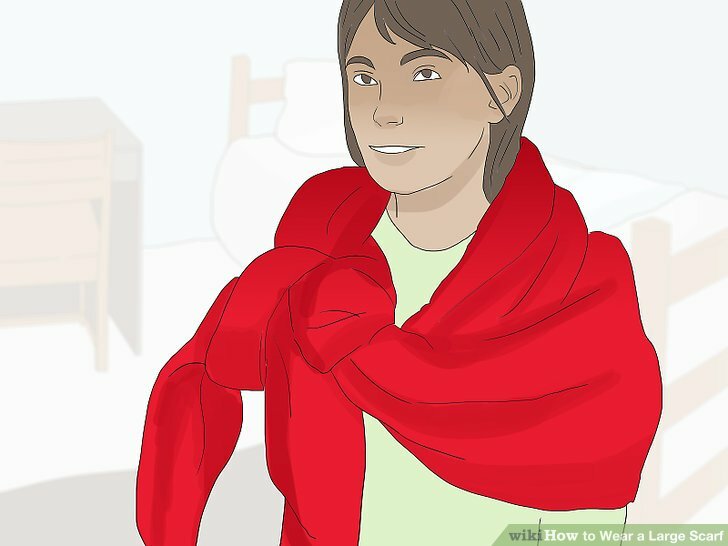 D**** your oversized blanket scarf around your shoulders, cape-style. 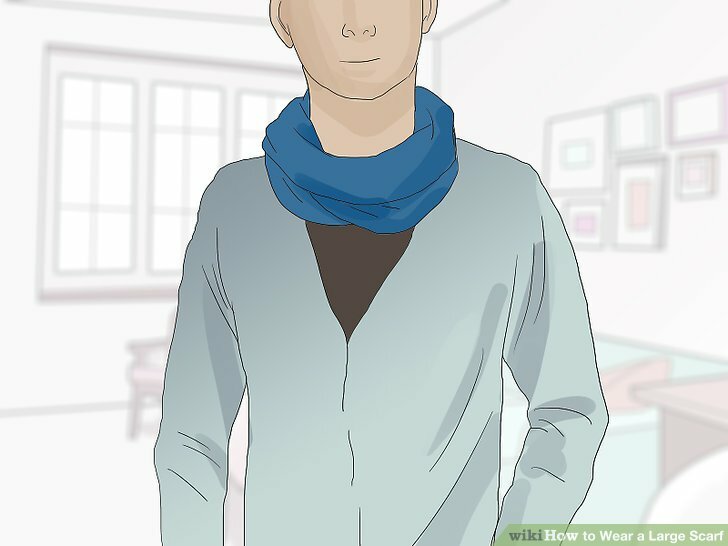 Bring the ends of the scarf together to tie a loose knot at your chest, either centered or pulled slightly off-center. Keep the fabric loose and slouchy to achieve that chic, effortless effect. This look is perfect for dressing up office wear. Wear a yellow and gray plaid blanket scarf, knotted cape-style, with a ****on-down chambray shirt, tailored black pants, and some charcoal ankle boots. Tie the ends of a blanket scarf into a loose knot for a polished effect. Wrap the scarf once around your neck, then pull the ends into a low, simple knot to keep them out of the way. This look is perfect for pairing with a professional outfit in the workplace. For example, you could throw a loosely knotted camel-colored scarf over a charcoal blazer, white ****on-down, black fitted dress pants, and black heels or men’s dress boots. Opt for the classic pull-through style for a professional look. 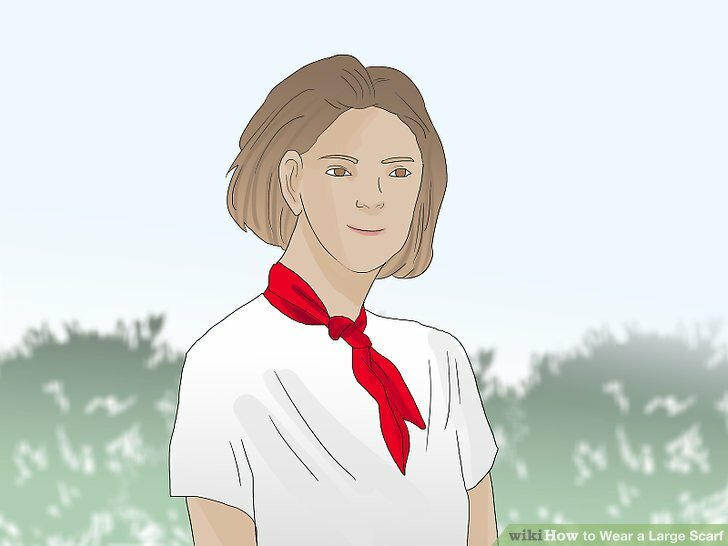 Fold or roll your scarf into a long line, then fold it in half again, lengthwise, creating a loop at one end. 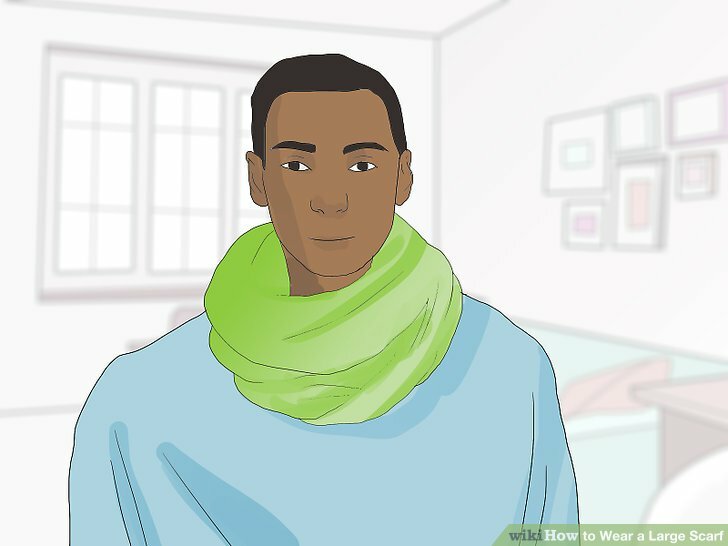 Place the scarf around your neck so that the loop and the 2 ends are both in front. Pull the two ends through the loop, then adjust the fabric until the knot looks relaxed and effortless. For a relaxed, professional outfit, pair a mustard yellow knit scarf, worn in the pull-through style, with a cream sweater and a pair of fitted light-wash jeans. Finish the look with some ankle-length or knee-high boots. Weave a simple braid to add interest to your outfit. 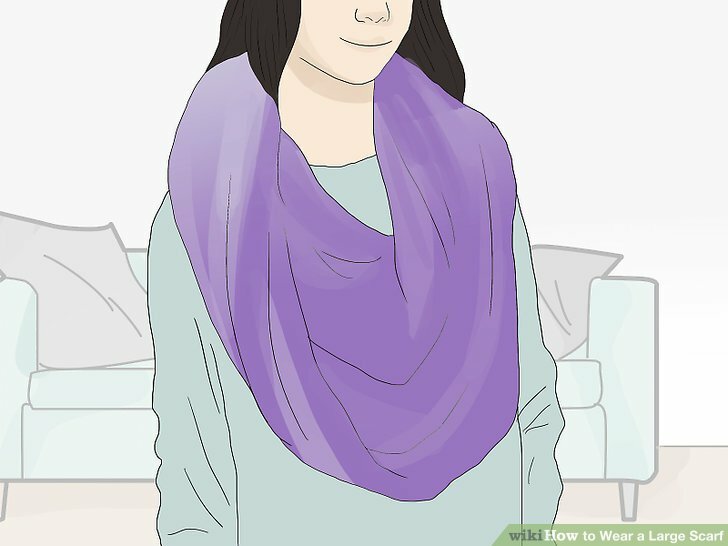 Fold your scarf in half lengthwise, so one end is a loop. Place it around your neck so the loop and two ends are in the front. 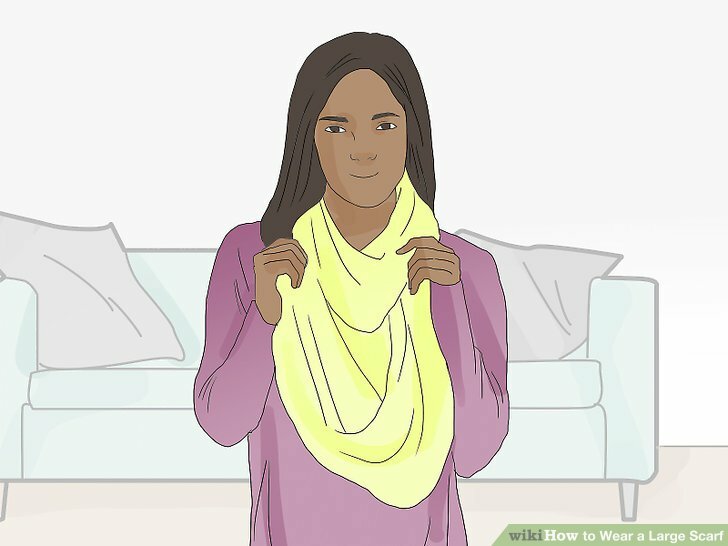 Pull one end of the scarf through the loop, then pull the bottom of the loop out slightly. Weave the second end over the top half of the loop and under the bottom to create a braided effect. Wear this style with an oversized rectangular scarf in a pretty floral pattern. Add a simple white sweater, a pair of light wash jeans, and slip-on mules.